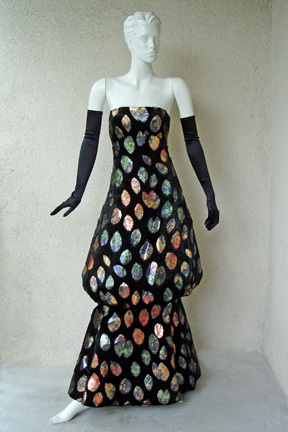 Double tiered pouf gown circa 1980's designed by Arnold Scaasi. 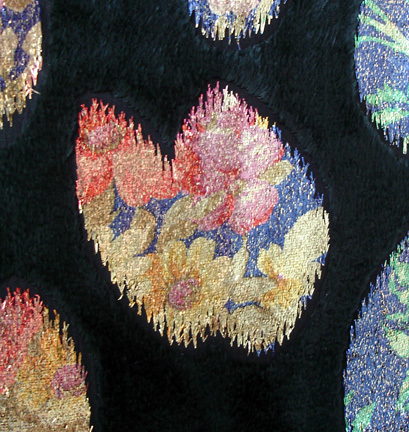 Fashioned on a ground of black panne velvet and shot through with multi color metallic silk lame to form a flocked leaf pattern. Strapless boned bodice. 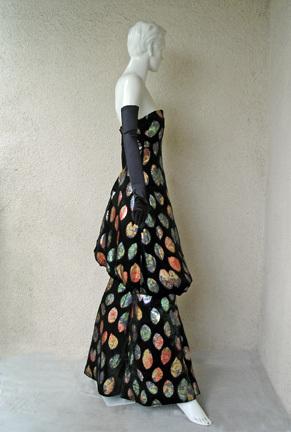 Has crinoline underskirt for structure and support. Fully lined. 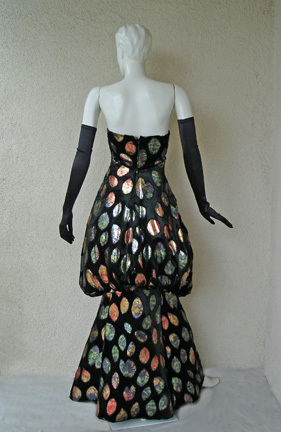 Bust: to 34"; waist: to 26"; hips: 36"; length: 51"